So I think I just got my blogging mojo back. Haha. Finally feel motivated to work on backlogs and go to events. Hihi. Also currently working on revamping my blog layout (still minimalist but maybe better and more organized). Thanks Rhea for the reco! 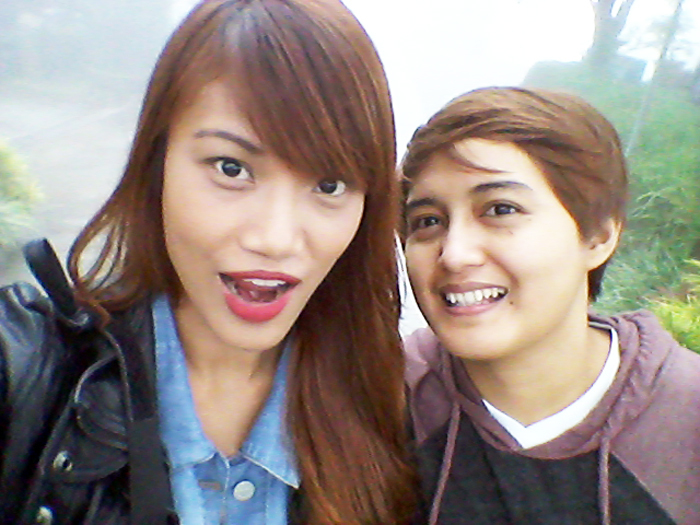 :) Anyway, remember my Tagaytay getaway 2 weeks ago? Posting about it na, finally! 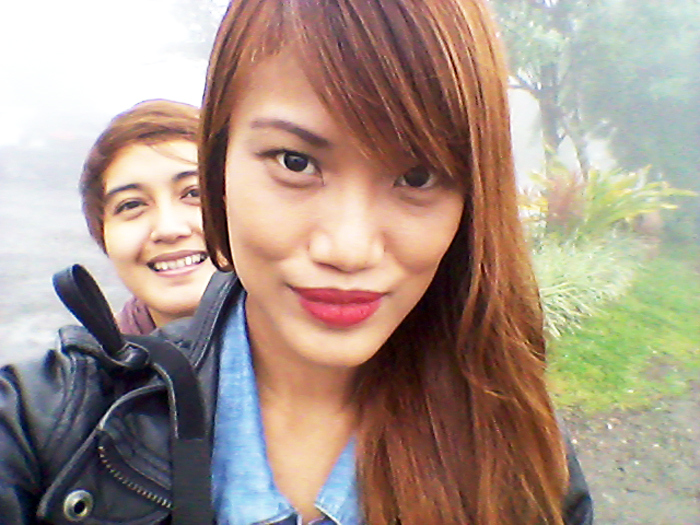 :) Oh how I want to run away to Tagaytay for a weekend escape, again. Let's go Mich? Friends? Cousins? Haha. 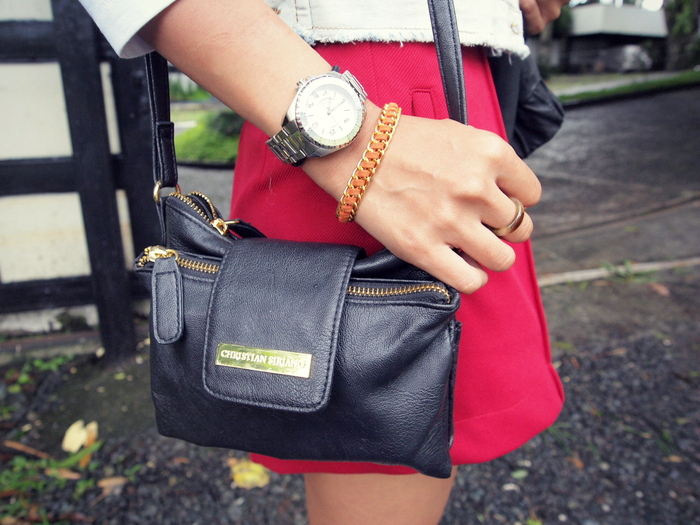 Starting this post with what I wore! Chloe's first out of town trip! me loving Skyway. Cuts travel time! We were racing against our check-in time so didn't avail na the stopovers. Such a bummer. Favorite part ko pa naman ng trip yun! Oh well. Travel time was 1 hour. Not bad! Sunday kasi hehe. our home that night! Bought a Taal Vista overnight stay deal from Deal Grocer for I think P4k+. Okay na din. check-in time! just presented my voucher and a valid ID. welcome drink na ininom agad ni Mich. Parched! in tagalog, patay uhaw! lounge area and resto overlooking Taal Lake! 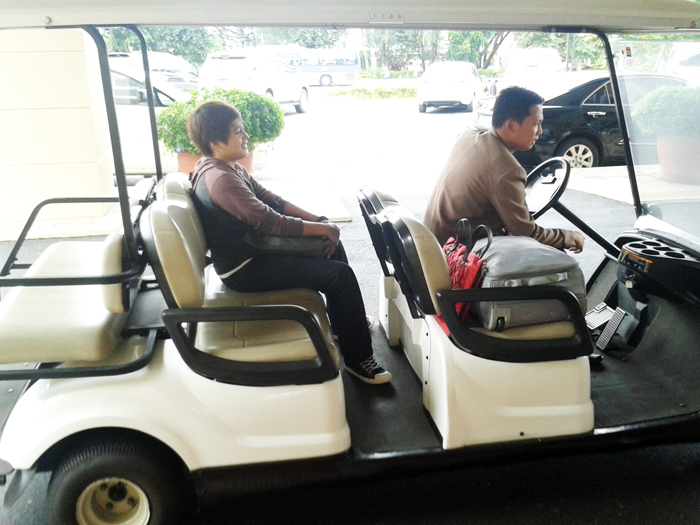 Kuya took us to the lake wing in this golf cart. Shushal. From Deluxe, I upgraded to their Premiere room facing the Taal Lake and just paid extra P1,000! Sulit:) This is located at their Lake Wing. They also have a Mountain Wing where rooms are facing the mountains, obviously. Haha. Regular Premiere room price is P7k. We were able to save almost P2k. For other room rates, click HERE! this room has a veranda with a breathtaking view of the Taal Lake!!! Kinilig ako. Haha. clean and spacious bathroom with toiletries, i was sold! Pwede pa matulog 2 tao dito. Haha. After taking photos of our room and jumping up and down on the bed like a bunch of freaks, we decided to head out na for late lunch. But wait selfie muna! Or ano ba tawag sa selfie ng 2 tao? Pls answer me!!! Wahaha. so convenient na there's an ATM machine inside the premises! And look, a Kultura store! We then drove around looking for a nice place to dine in but it was too foggy! So back to 20kmh si mich. Heh. Tried Leslie's but box office the dami ng tao. while waiting bought pastillas and espasol muna. Didn't like it. Heh. Nobody batted an eyelash or in short waley nagassist samin and we were hungry as Godzilla, so we decided to just leave and transfer to another resto. Buti naaliw kami sa fog so no tantrums. Haha. 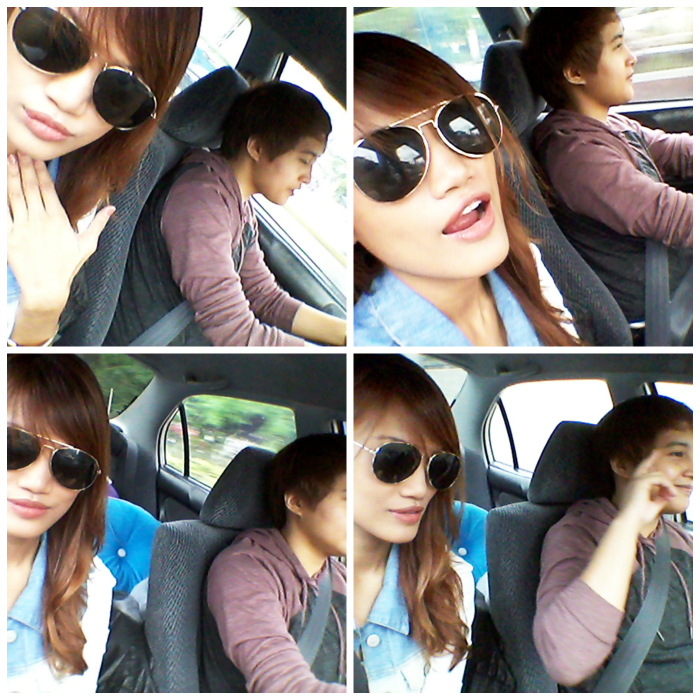 we wanted fast food coz we have a scheduled 4pm massage so we ate nalang at Mile Hi Diner! no fog na! yey! That's Antonio's grill. Or whatever I forgot hihi. Love that they have private rooms. The massage was great too! I dozed off, which seldom happens. Haha. Only setback was the damp bed so it was a little uncomfy. 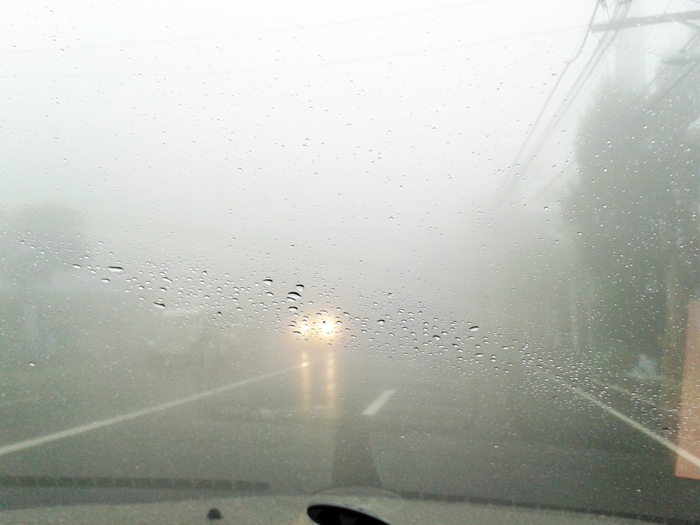 But I guess it was because of the rain and fog outside. Windows were open ata. milkbath area which was under maintenance that day. sayang i wanted to experience pa naman. It was worth it for P750 each. Loved the place and we left feeling light and super relaxed. Definitely what we both needed:) We were still full from our super late lunch so we decided to get dessert and hot choco nalang after. So off we went to Bag of Beans! favorite place. so cozy and homey! decided to chill on the 2nd floor nalang! love how Mich and I can spend hours just reading our favorite ebooks while eating. Haha. ayan para mas kita the ebook. Haha. Was reading "American Devil" by Oliver Stark. If you're into crime novels, detective stories, suspense thriller or serial killers then read this! Loved the plot and how it was written. Retired early and spent the rest of the night watching National Geographic, Pretty Woman and blogging! Had to order room service coz I got hungry. Heeh. i really enjoyed reading this post! scanning thru the photos makes me want to go to Tagaytay. It's so evident that you two had a very relaxing weekend there! Mir gefallen die Berichte immer sehr. Sehr schöne Fotos auch. Und Mode, naja, etwas für meine Freundin. Liebe Grüsse aus Germany, Charley Ke.